Although St. Louis was founded in 1764 and the game was most likely already widespread at the time, chess history in St. Louis seems to really begin about 100 years later with one man: Max Judd. Judd was born in 1852, and came to the United States when he was still a boy. He settled in St. Louis in 1873 and would make a name for himself as one of the top players in the country. Shortly after he settled here, Judd founded the St. Louis Chess, Checker and Whist Club, at 904 Olive Street. It subsequently moved to 103 North Broadway. Judd went on to regularly compete in some of the country’s top tournaments including U.S. Championship events (some officially recognized, some of dubious claim) and many of the super-strong American Chess Congress events. ChessCafe.com presents a fantastic comprehensive overview of Judd’s career including some of his famous games. Judd was integral in establishing a vibrant chess scene in St. Louis; and, in 1886, our city became center stage for the biggest chess tournament in the history of the world. 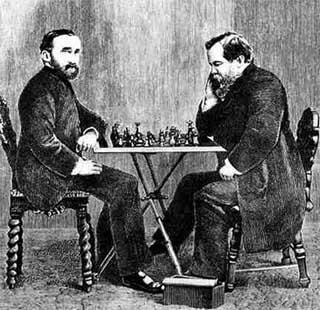 The first-ever World Championship match between Wilhelm Steinitz and Johannes Zukertort was hosted in three cities: New York City, St. Louis and New Orleans, with the St. Louis Chess, Checker and Whist Club sponsoring our portion of the epic confrontation. The first five games were played in New York, and Zukertort got off to a fast start, winning four of the first five contests. Feb. 3, 1886, marked the sixth game and the first to be held in St. Louis. 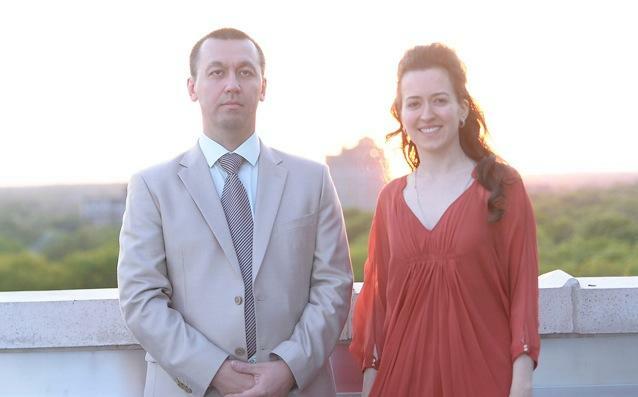 The event was held at the Harmonie Club. Match rules stipulated that one of the players would have to win three games in St. Louis before the event would move on to its final leg in New Orleans. Steinitz turned up the heat, winning three of four contests in St. Louis to even the score before finishing Zukertort off in New Orleans. Both players were awarded $2,000, but only Steinitz earned the right to be called the first official World Chess Champion. It wasn’t until 1904 that another major, notable chess event would take place in St. Louis. The 1904 World’s Fair provided the perfect opportunity to bring back some of the top chess players in the country to compete in front of a worldwide audience. Research from the World Chess Hall of Fame indicates that Dr. J.L. Ormsbee, a Missouri resident of more than 15 years at the time, was credited as the first to suggest hosting a Chess Congress event in conjunction with the World’s Fair. In a letter printed in the St. Louis Globe-Democrat on April 15, 1900, Ormsbee declares a need to organize what would become the Missouri Chess Association. “We certainly need a good state association of all the clubs and players in the state for the World’s Fair in St. Louis in 1903 [sic], for there will undoubtedly be some chess tournaments take place in St. Louis then,” Ormsbee wrote. The Seventh American Chess Congress opened at the Missouri Athletic Club on Oct. 11, 1904. The event featured a top prize of $500, and the legendary Frank James Marshall of Brooklyn, N.Y., took clear first, a full point-and-a-half above Judd, the second-place finisher. Another prominent name in the early St. Louis chess scene was Evaline Allen Burgess, commonly referred to as Mrs. Samuel R. Burgess. She was an active member of the West End Chess Club (located at 5029 Maple Ave.) and an honorary member of the St. Louis Chess Club. A book entitled Notable Women of St. Louis indicates Burgess claimed the title of U.S. Women’s Chess Champion after defeating Mrs. Clarence Frey of Newark, N.J., in March 1907. In a male-dominated sport in a male-dominated time, Burgess stood out as a trailblazer who had no issues with standing up to adversity and competing with the top men in the area, and the top women in the nation. The early St. Louis chess scene is littered with countless other great names like Benjamin Foster, John F. Long and many more, and as we look forward to hosting the U.S. Championship and U.S. Women’s Championship again for the sixth consecutive year this May, it’s important to realize that this exciting new chapter is just one of many in a long story about how chess has grown and developed in St. Louis over the past 150 years. Next week: The column will look at the more recent history of chess in St. Louis and explore how we’ve grown to become one of the top chess cities in the world. Note: Mike Wilmering is a 2006 graduate of the University of Missouri at Columbia School of Journalism and is the communications specialist for the Chess Club and Scholastic Center of St. Louis. 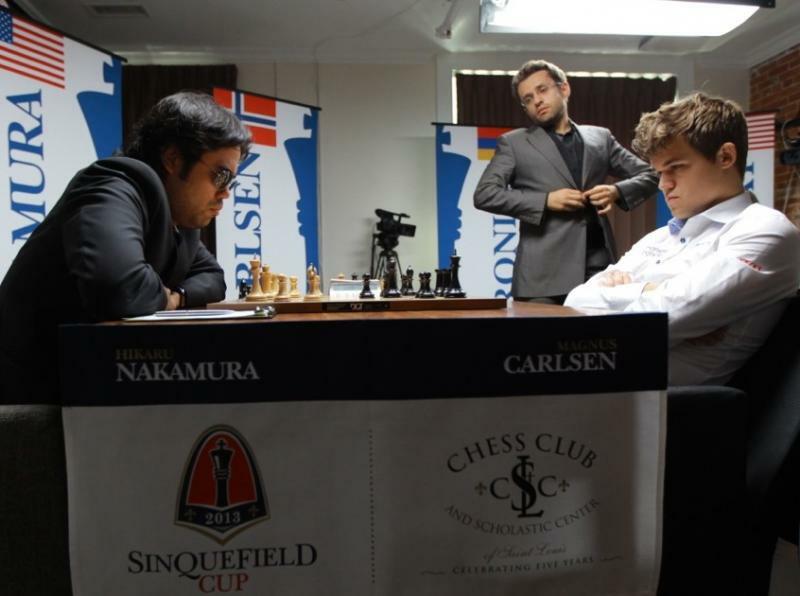 The World Chess Hall of Fame provided research materials for this article. He came close this time. The great white whale was in his sights. His elbow was cocked, and in his hand the harpoon was ready to deliver the fatal blow. And then it all disappeared.